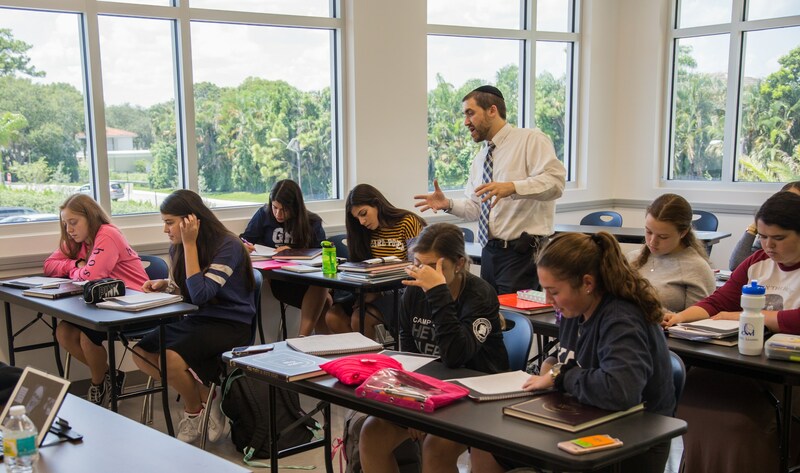 The goal of Judaic Studies at KYHS is for each student to be engaged in religious growth and to identify as proud, confident, and humble Modern Orthodox Jews. In 9th grade our girls learn Gemara and in grades 10-12 girls are given the option of taking either Gemara or Torah Shebaal Peh. In ninth grade there is also one class that studies Torah Shebaal Peh. Our four-year curriculum encompasses an intensive study of selected sections of the Torah, with a focus on building skills in the areas of textual analysis, critical thinking and reasoning, and fluency in the reading and comprehension of both primary and secondary sources. 9th grade: Our freshmen study the end of Sefer Bereishit, concentrating on the story of Yosef and his conflict with his brothers. Themes include birthright and Jewish legacy, morality, and leadership. 10th grade: Our sophomores study the beginning of Sefer Shmot, concentrating on the story of Jewish slavery in Egypt and the ultimate exodus. Themes include Jewish identity, exile and redemption, and the formation of the Jewish Nation. 11th grade: Our juniors study the middle of Sefer Bamidbar, concentrating on the trials and tribulations of 40 years of wandering in the wilderness. Themes include the individual vs. the community, struggle and conflict, and the evolution of Jewish society. 12th grade: Our seniors study the beginning of Sefer Bereishit, concentrating on the origins of the universe and Mankind’s early history. Themes include belief and faith in God, good vs. evil, and the universal human desire to connect with the divine. Our four-year curriculum includes an in-depth study of the history and personalities of the Jewish Kings, the Biblical Prophets, and their Writings. Classes focus on the comprehension and analysis of the stories of Nach and their placement within the context of Jewish (and World) History. 9th grade: Our freshmen study Sefer Yonah, the Five Megillot, and selections from Sefer Tehillim. This course focuses on the historical context of each work, the life and personality of the authors, and the unique role each work plays in the Jewish yearly cycle. 10th grade: Our sophomores study the personalities of the Jewish Prophets and how the role of the prophet evolved from the time of Moshe through the destruction of the First Temple. Themes include miracles, Divine inspiration vs. human initiative, and spiritual vs. military leadership, and are explored through in-depth study of chapters from the books of Yehoshua, Shoftim, Melachim, Yirmiyahu, Yishayahu, and Yechezkel. 11th grade: Our juniors study the institution of Jewish monarchy and the personalities of Jewish Kings from the first king, Shaul, to the rift in the kingdom that led to the downfall of the Jewish Empire. Themes include obedience vs. innovation, morality and justice, and maintaining unity, and are explored through in-depth study of chapters from the books of Shmuel and Melachim. 12th grade: Our seniors study the weekly haftarot, selections from the various books of Navi that accompany the reading of the weekly Torah portion on Shabbat. This course focuses on the history and message of each haftorah and explores its thematic connection to the weekly parsha. All students develop proficiency in reading, writing, and speaking Ivrit. 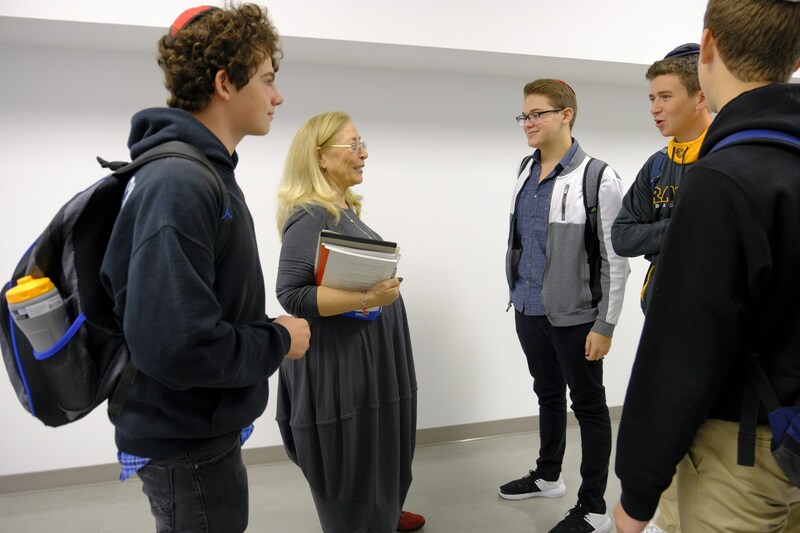 Through their Ivrit classes, students are exposed to Israeli culture and the language using a variety of traditional and progressive methodologies. The curriculum emphasizes fluency in contemporary spoken Hebrew and comfort with Israeli media and literature. To hone students’ textual skills and prepare them for post-secondary Torah study, this directed self study of Talmud and various Jewish texts is offered to seniors in place of Hebrew and/or Navi. 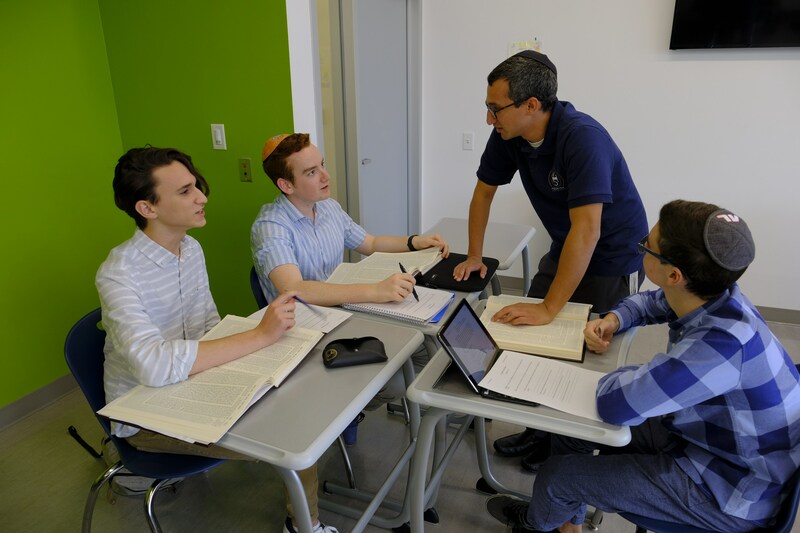 For two periods each week, students meet in smaller groups with teachers and study Jewish thought. The course is designed to elicit deep conversation among the students as they explore important Jewish themes. Topics include the Jewish approach toward Truth, the purpose of mitzvot, and classical themes in Jewish philosophy, among many more. 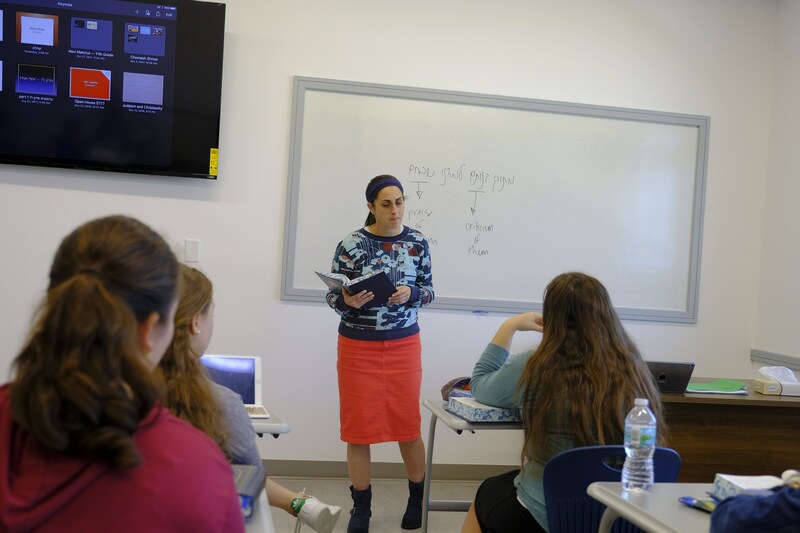 The goal of the Hashkafa class is to inspire students to consider their own personal connection to different aspects of Jewish life. 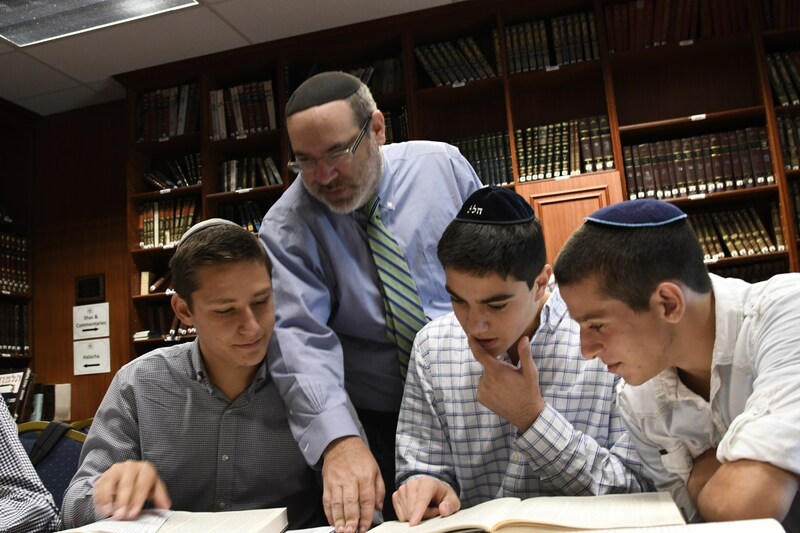 To increase opportunities for Torah and Tefilla, the school offers two optional programs. The weekly boys and girls Night Seder programs include dinner, Torah study, and maariv. On Sunday mornings, boys can study and daven with KYHS staff in communities throughout South Florida.